Transgender activist Jennicet Gutiérrez discusses her experience as an undocumented trans woman of color. Gutierrez’s talk was the the fifth in a weekly series of educational events hosted by prison divestment advocacy movement Unshackle NU. Jennicet Gutiérrez claimed national attention when she heckled President Barack Obama’s speech nearly eight months ago. On Wednesday, she held a talk of her own at the McCormick Foundation Center Forum. More than 50 people attended the event held by Unshackle NU, a student divestment movement calling for NU to remove its investments from private prisons and companies its members say contribute to mass incarceration. Gutiérrez, who became well-known due to a viral video depicting her being escorted out of the White House after interrupting an event commemorating Lesbian, Gay, Bisexual and Transgender Pride Month. She based much of her talk at Northwestern on her personal experiences as a transgender woman of color living as an undocumented immigrant in the U.S.
Gutiérrez is an activist and a founding member of Familia: Trans Queer Liberation Movement, a national organization advocating for the Latino and lesbian, gay, bisexual, transgender and queer communities. 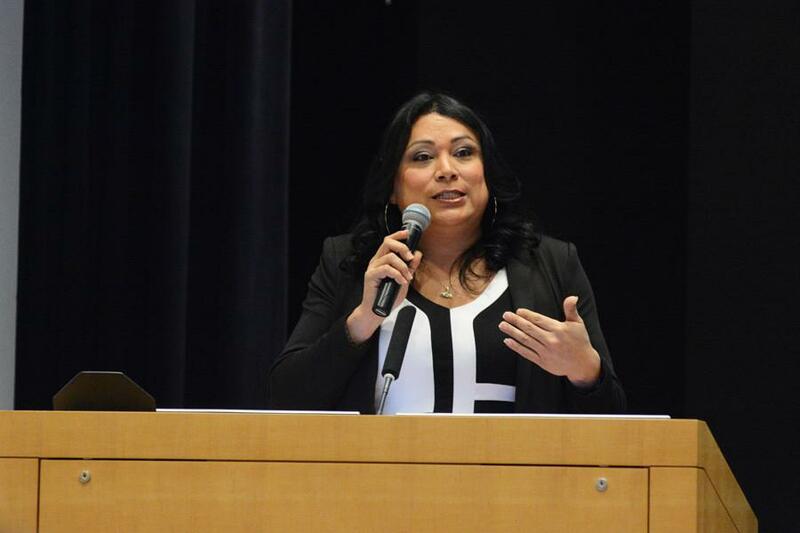 During the event, Gutiérrez spoke not only about her work in this organization but also the overarching issue of the higher risk of violence and abuse that transgender women of color face when they are detained for deportation. Her actions at the White House, which included her asking for the release of transgender women detained throughout the U.S., drew critical responses from not only the president himself but also members of other organizations that were present at the event, which took place in June 2015. Gutiérrez was booed by other attendees before being escorted off the premises. Matthew Wright, a member of Unshackle NU, said he was pleased with the event. The Medill senior said the mass incarceration system hinders the quality of life for not only minority groups but also different subgroups within those minorities. “It’s really important that we talk about all identities as far as people of color and especially queer identities who are under attack,” he said. Weinberg sophomore Nneka Onyeka said the event reiterated the existence of several marginalized groups in the U.S. and around the world. Gutiérrez told The Daily she fully supports the mission of Unshackle NU, and said the organization’s movement against the University’s private holdings in companies contributing to mass incarceration positively impacts the communities she represents. “In order to truly see change, we don’t need to have our brothers and sisters in those facilities. We really need to come together and organize to release them all,” she said.